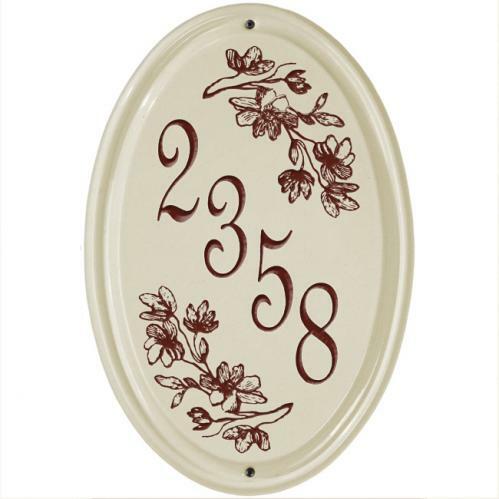 Dogwood Ceramic Vertical Number Plaque is a wonderful addition to the home or business. The Vertical Ceramic Number Plaque holds up to 5 - 3" Numbers - available design/font colors: black, dark blue, green or red. The plaque is made from high-fired, vitrified ceramic and made in the USA.